At the Law Offices of Brent J. Rhodes, my law firm represents victims in Houma, Louisiana, and the surrounding area in a wide variety of personal injury claims. My entire practice is dedicated to helping individuals and families obtain full compensation for the losses they suffer at the hands of another. Whether you have been injured in an auto accident, lost a loved one in a fatal accident or suffered an injury on the job, you can rely on me to do everything in my power to see that your interests are protected to the fullest possible extent. I also represent clients in a broad range of maritime law and offshore injury cases, including Jones Act, Longshore and Harbor Workers' Compensation Act, Outer Continental Shelf Lands Act (OCSLA) and Death on the High Seas Act claims. 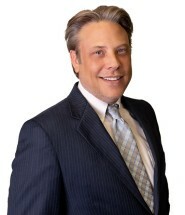 Drawing on more than a decade of experience, I have represented more than 1,000 personal injury clients. I have been recognized on numerous occasions for the quality of my work and my commitment to obtaining the best possible result in every case. I received an invitation to the 2012 National Trial Lawyers: Top 40 Under 40 and was included in the Super Lawyers Rising Stars list in 2012. I was also selected as the Best Personal Injury Attorney in Terrebonne Parish in 2011 by the readers of The Courier. My dedicated focus on personal injury claims puts me in a strong position to provide the effective, results-oriented representation you need. Contact the Law Offices of Brent J. Rhodes to learn more about your legal options and what I can do to help you.